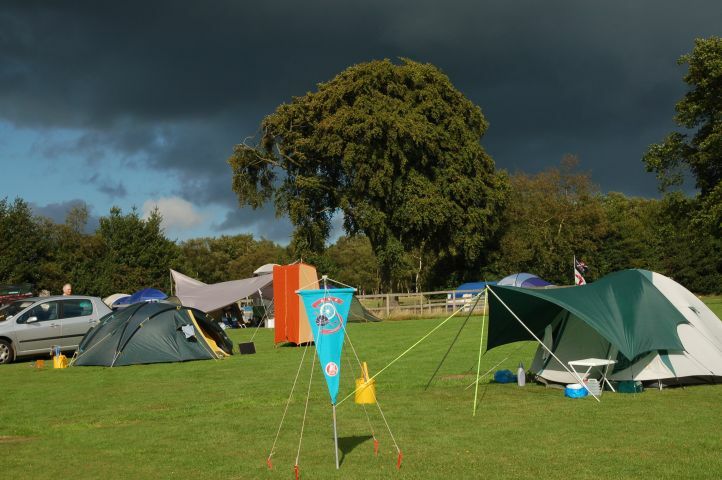 The Association of Lightweight Campers, a section of the Camping and Caravanning Club, celebrates the club's birthday over August Bank Holiday weekend. 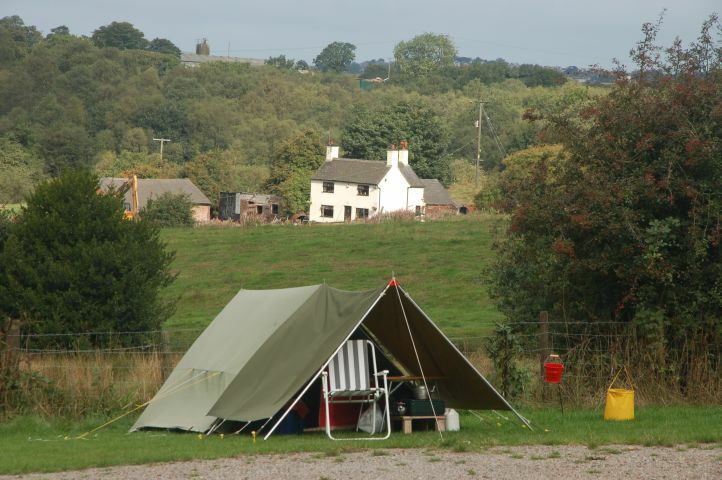 This year it was held at Sheepwash Cottage, Caverswall, near Blythe Bridge, Staffordshire. 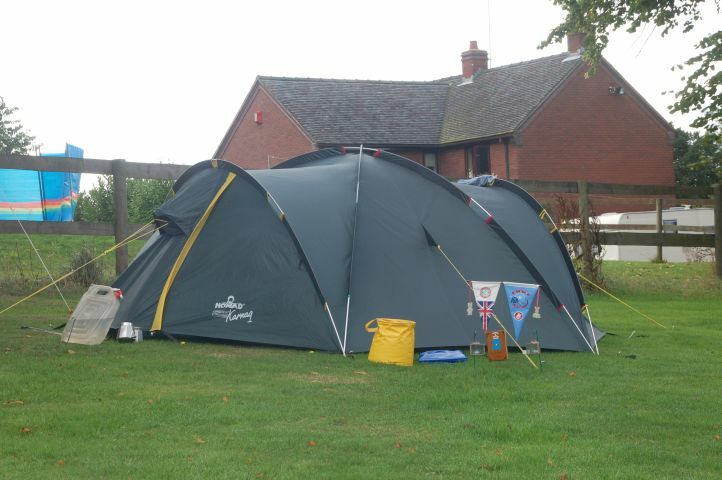 The ALC camped on the rally field at Sheepwash cottage. 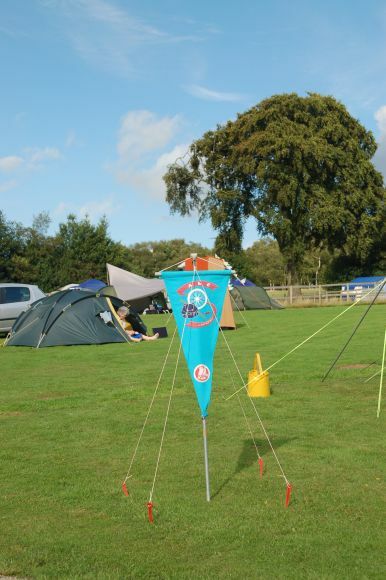 L- The large section pennon, which is flown at most ALC camps. R- Smaller section pennons and a name plaque. 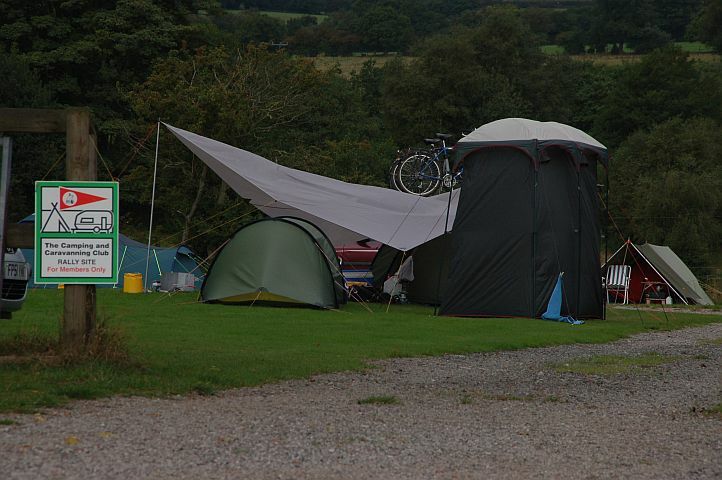 Vierw of ALC rally pennon and a couple of units at the weekend. 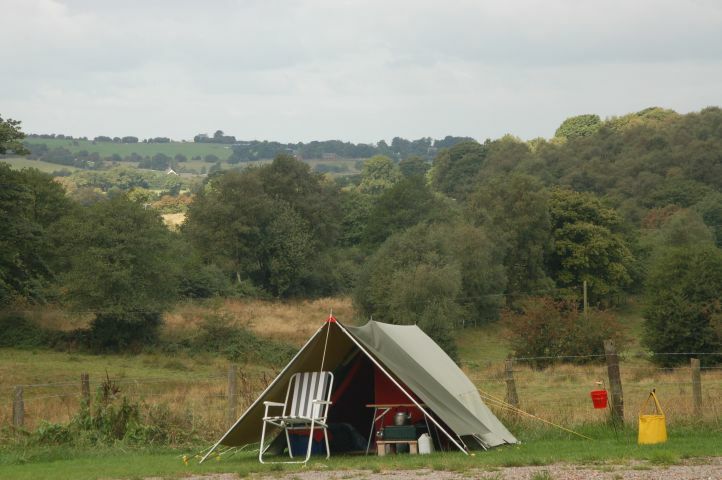 Due to the use of simple sites, many members when car camping also take a toilet tent and "own sanitation"
View looking west from the site. 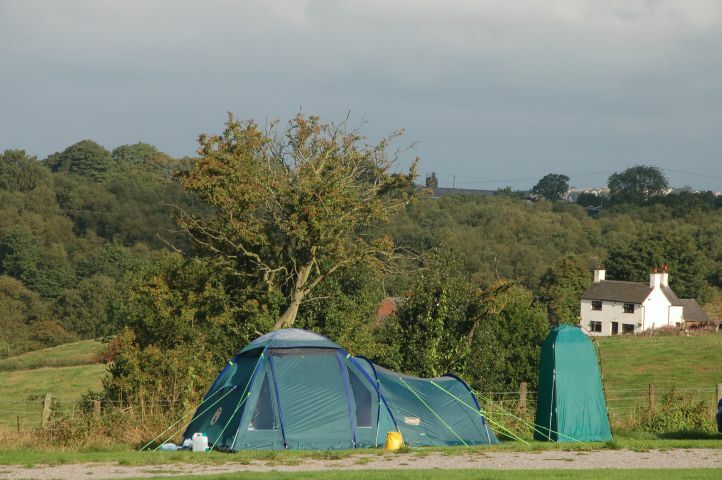 View looking west from the site. 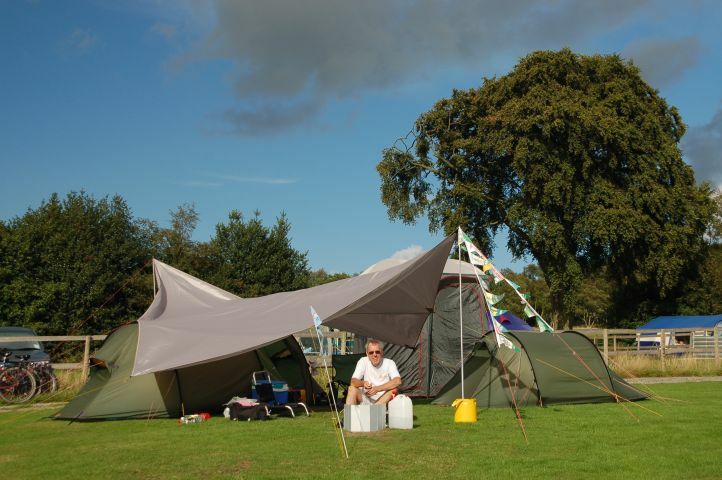 This tent is a cotton tent, a rare site these days in the world of small tents. 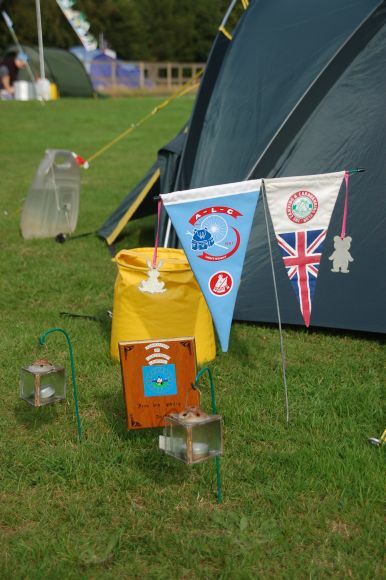 The Camping and Caravanning Club recommends that each unit has a fire bucket filled with water placed by their units. 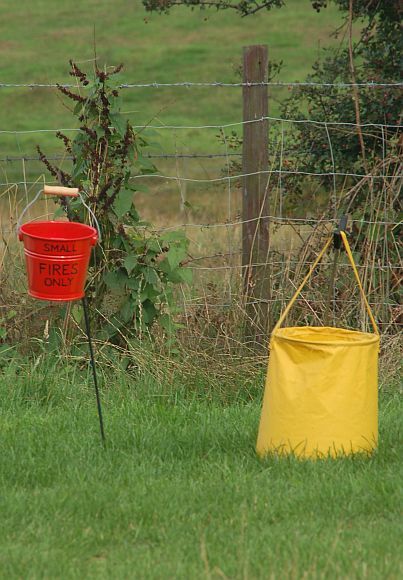 Lightweight campers often use collapsible yellow buckets for such purposes. This camper had an additional red fire buck for small fires!